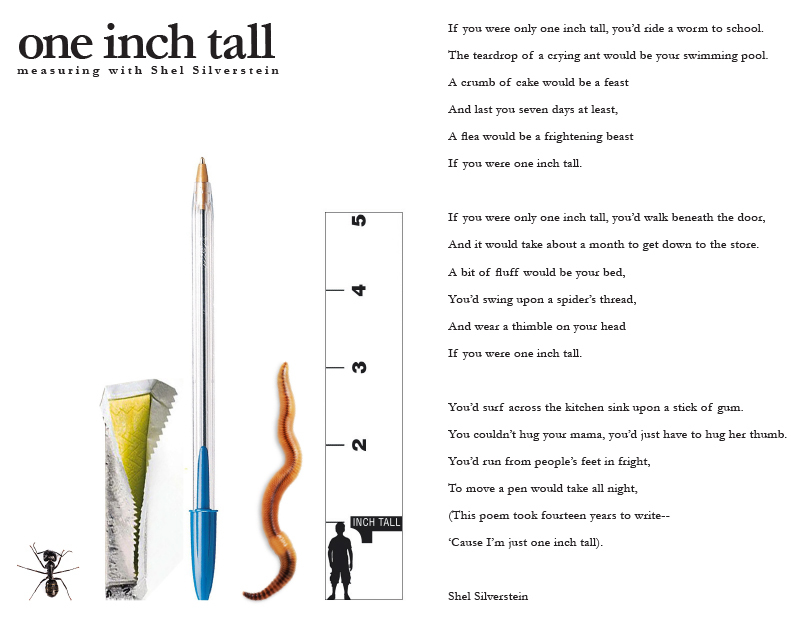 Read the poem "One Inch Tall" from Where the Sidewalk Ends by Shel Silverstein. Then pass out the "one inch tall rulers" and try to find something that measures an inch! What could you do around the classroom if you were only one inch tall? Kids use the ruler as a guide. What could they do if they were 2, 3, 4 or 5 inches tall? !